These days the transactions in the banking sector is becoming a very tedious task and so as to ensure that this tedious task to be removed, our banking sector is trying to emerge towards block chain technology. To simplify the transactions without the help of any third party in a secure manner is really a great challenge, but to overcome this challenge an anonymous online ledger (collection of financial accounts) which uses the data structure to simplify it is called block chain technology. We can still see what comes in and gets out, and to whom. But now all these information’s are present in the form of a digital format at one particular place. In banks we see physical financial collections, now we can get rid of it, and we can keep the records directly in block chain as it is framed even for record keeping. As mentioned about the block chain system that it is an anonymous part which protects the identities of the user. So, by this, it is very clear that the transactions will be done in a more secured manner. A bank’s ledger is connected to a centralised network. Blockchain is a distributed database which takes in a number of inputs and they try to place them in a block. There will be blocks lined and each block is said to be chained to another block using a cryptographic signature. This ensures that block chains used as a ledger are accessed by anyone provided if he has the permission to seek the details. For any transaction to be done we need to have a reconciliation so as to ensure that the transaction is done in a genuine way. Every time having a reconciliation is a tougher task to ensure that the transactions are done in a smoother manner. To eradicate this problem block chain built applications will play a key role by not allowing reconciliation of any transactions as all the information will be readily available and verification will be done to see that if anyone is a part of particular block chain ecosystem. A person X wants to send his money to a person Y. So, here we have lender and beneficiary. Once the deal is sealed, in the block chain world this transaction gets recorded with all important details such as date, transaction value and the names also will be recorded. Next time when they want to repeat the process they wouldn’t face any problems as their data is already stored in it. 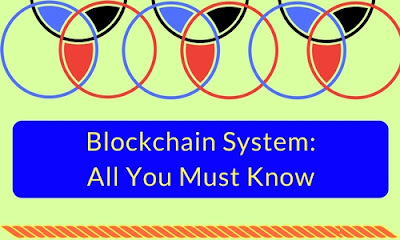 It is a decentralised ledger, and all the system numbers can store the information. Verifications by any intermediaries are not required at all. As we are in the digital era and even our country is advancing towards digital India and cashless society so we need to adopt good technologies so as to be in the forefront in terms of competition with the entire world. The first Indian bank to complete the block chain transaction successfully was ICICI bank. Even all major banks are also trying to implement this block chain system as it will be really beneficial for all sort of money transfers and for storing the records. In banks, we see a lot of hectic work is done by just making more paper-intensive works, but now this block chain application will just replicate this paper-intensive work into an electronic decentralised ledger which enables all participators the ability to access a single source of information. We can track any documents easily and we can validate ownership of assets digitally, by not allowing any changes in the real time. Block chain mechanism is to create a core banking platform. This technology is being developed by the Indian IT service providers like TCS and INFOSYS. Block chain technology validates each and every transaction which makes it more secure and reliable. The technology is decentralised and if any third party tries to enter he wouldn’t get any chance as it will discard off in peer-to-peer transactions. Block chain technology is a cost-saving factor for banks as manual intervention is not required for reconciliation purposes. It is basically done by intermediaries but now with the help of block chain, there is no need of any manual interventions. This technology is cryptographically encrypted with our digital signatures and it is difficult to hack into. If in case there is any fraudulent transactions every node of it can detect it and it will deny the proceedings. A lot amount of aggressiveness is amounted in banks by looking at block chain technology. The banks can keep a track of debit and credit data. Even, in the forex market, the back office of the respective banks they need to speak with the back office of another bank which is said to be a tedious process. In this case block chain technology will play a pivotal role as it doesn't support any back office, so automatically back offices will be eliminated in the banking sector. Banks tend to invest a lot of time in moving money, thus creating a problem, whereas the blockchain technology can free up the movement of money, instead of leaving it clogged in slow banking. It’s very secure and till now no blockchain technology has never been hacked successfully. Transaction process will also become easy by this technology and in the same way, tracking also will become easy. It will play a crucial role particularly with bonds and stocks as banks spend a lot of money and time on tracking it. Block chain technology will be a huge benefitting factor to the banking sector and even this technology is not limited to only this sector but rather, it can be used even in many other areas also. There will be no human intervention at all if we adopt block chain technology as it will verify all the transactions solely. The block chain architecture can significantly bring down the costs and even it can reduce the inefficiencies in the financial sector.